Video from The Aionoshi Festival in Nara, Japan and staged at Todaiji, an eighth-century Buddhist temple. 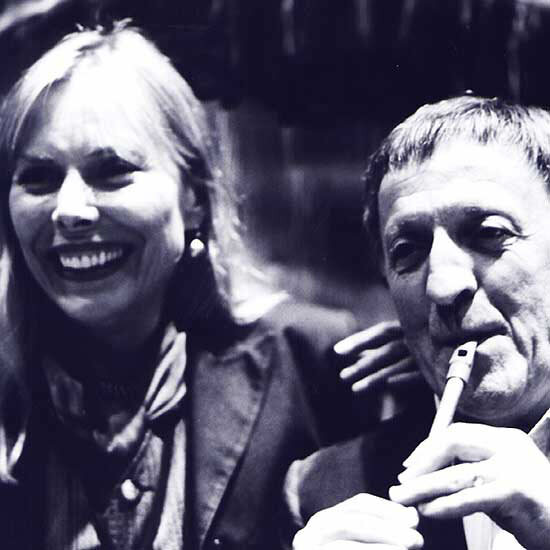 Joni was accompanied by a traditional Irish folk band, The Chieftans. Founder of the group, Paddy Moloney is playing the tin whistle. Tho not shown in this video clip, Joni joined Bob Dylan and other performers during the encore of each show. The final concert was broadcast live on TV in Japan by NHK and elsewhere as The Great Music Experience. Guitarist/producer Ry Cooder, who also performed with The Chieftans at the event, said The Magdalene Laundry song was his musical highlight of the whole three days. This song, based on how things were in the days where a girl who became pregnant was placed into such a life of merciless treatment by their oppressors... Being sent to a nunnery. And the cruel and grueling existence for the so-called sin of having a child out of wedlock, with no where else to go. 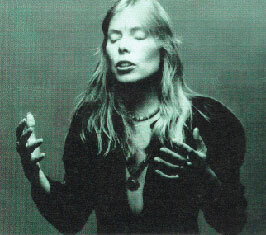 It is truly heartbreaking, and in the recording of Turbulent Indigo, towards the end of the song, Joni almost gives out a weeping lament. But it was nice to have the Chieftians as backup for this sad song... Ry Cooder as well, on slide guitar. Excellent and tragic.